Four great fighters, all of them world champions, three of them at more than one weight class, retired from the sport this year: heavyweight king Wladimir Klitschko, super-middleweight and light-heavyweight ruler Andre Ward, four-weight ruler Miguel Cotto and light-welterweight and welterweight champ Tim Bradley. It’s safe to say that all four of these special fighters are destined for enshrinement in The Hall of Fame one day; Klitschko, Ward and Cotto being an absolute certainty. And as all four warriors gave us so many special and memorable fights, it’s also safe to say we will miss them all a great deal. But which of the four will you miss the most? There is of course always the possibility that one or more of the fab four will actually change their mind and come back to fight again, and it would be no real shock if at least one of the former kings boxed at least once more. But supposing all four stick to their retirement, which one will you remember most fondly and which one will you miss most of all? Cotto figures to be missed by millions, so big a draw was the Puerto Rican legend. Huge in New York, Cotto regularly sold out Madison Square Garden. Cotto had a massively fan-friendly style and approach, both in and out of the ring. Just look at the classic fights he gave us: Pacquiao, Margarito, Mosley, Torres, and so many more he went to war with, thrilling the world in the process. Bradley, perhaps the less celebrated of the four now retired warriors, will in all likelihood be better thought of, much so, when a few years have rolled by and fans take a look back and fully realize how special he really was. Bradley was a fantastically tenacious battler; a man and a fighter who simply would not take no for an answer. Bradley was a long-time pound-for-pound ranked fighter and he too met the best: Pacquiao, Provodnikov, Marquez, and a number of others. And Bradley gave his ALL each and every time he stepped into the ring. His almost surreal war with Provodnikov was oh, so thrilling. Ward, never a slugger or anything approaching that style of fighter, may not have appealed to lovers of a slugfest (and who doesn’t love one!) but the sublimely gifted technician got the job done, often making it look easy. Ward is the only fighter of the four to exit with a perfect, unbeaten record. Klitschko, like Ward, was often hit with a “boring” tag, with some of his fights failing to send fans home feeling as though they had received value for money. However, Klitschko, a dominant and long-reigning heavyweight king (unbeaten during a hugely impressive eleven-year spell, from 2004 to 2015) also gave us some excellent fights. 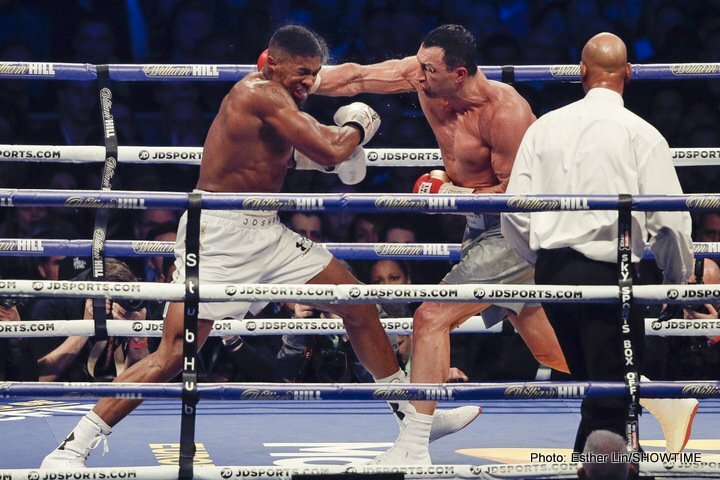 Quite ironically, Klitschko’s final fight, his stoppage loss to Joshua, will likely be remembered as not only his most exciting but also his most courageous performance. So which of these four ultra-talented fighters moved you the most and who will you miss the most? For me, it’s “Desert Storm,” an astonishingly hard-working, supremely conditioned, brave and committed fighter. You are here: Home / Boxing News / Klitschko, Ward, Bradley, Cotto: They all retired this year, but which great will you miss the most?